Foothills council 9184 deliveries over 60 turkey dinners Thanksgiving morning to those in need. Our council works with Prince of Peace Catholic Church's St. Vincent dePaul chapter. Need more info.? 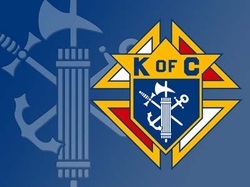 Contact us at kofc9184@gmail.com.